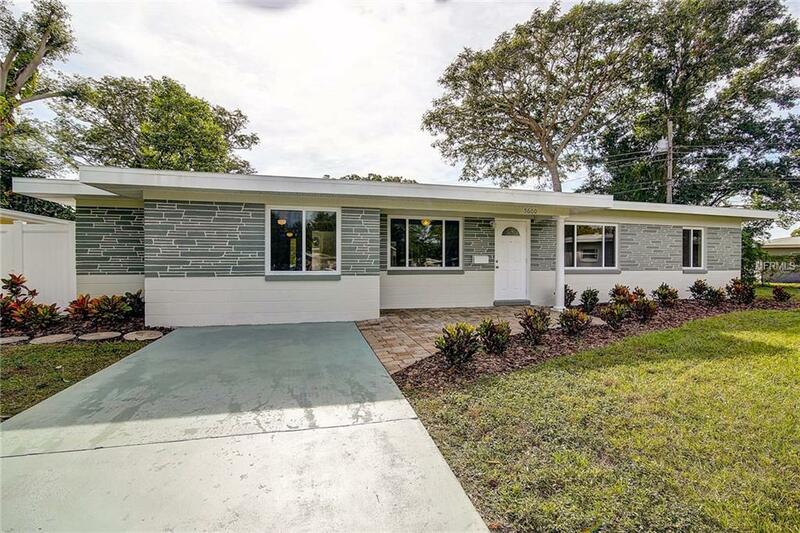 Beautiful, completely renovated 4/2 home in the desirable Westgate Manor. Nearly everything in the home is BRAND NEW, never used before! This house has an incredible SPLIT FLOOR PLAN with continuous flooring throughout, newer sliding doors, and an IMMACULATE kitchen much like something youd see on Pinterest or HGTV. The kitchen comes equipped with GRANITE counter tops, BRAND NEW STAINLESS STEEL appliances, and generous amounts of cabinet space. Both master and guest bathrooms have been entirely redone, and are sure to impress. The exterior of the home is freshly-painted, landscaped, and even includes a powered work shed in the back. Other notable features include a brand new Tankless Water Heater, Dedicated 20 Amp Outlet for Electric Vehicle Charging, and an Awesome Outdoor Entertainment Space. This home is located in a quiet neighborhood with great access to just about everything beaches, restaurants, shopping, entertainment, airports, and on and on. If youve been looking for the home of your dreams, you owe it to yourself to schedule a showing and see THIS home in person. Schedule a showing today!